Is this a coded reference to goings-on at court? Had Cranmer heard gossip that both Anne and the new religion were being threatened? Or is he referring to Thomas Cromwell’s policy regarding the dissolution of the lesser monasteries? 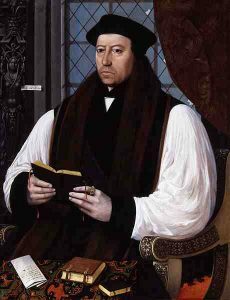 Is Cranmer withdrawing his support for Cromwell’s idea? 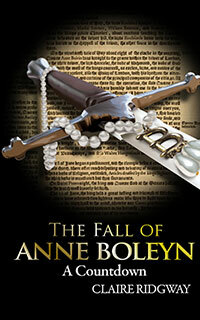 More details in The Fall of Anne Boleyn: A Countdown, but we just don’t know. There is no reply from Cromwell on record. Wow. And this right after Anne was acknowledged, however unintentionally, by the ambassador from Spain?! Is it possible that Cranmer in fact was himself considering throwing Anne under the proverbial bus (his later letter where he indicates his confusion about her guilt notwithstanding)? Although he may have been on her side, as we often are told, he may have been more interested in preserving his Church’s independence from Spain and Popism, and perhaps Anne was interested in re-aligning England with Spain if it would insure Elizabeth’s international legitimacy. It does seem clear that Cromwell was the architect of her downfall but it is still doubtful whose side the equivocal Cranmer was on. And, as always, Henry’s state of mind, his self-deception, and his complicity in the conspiracy to unseat her and kill her is in shadow. I think, in time, documents will surface which give us the key. And, certainly, it is possible that the stroke he may have suffered in the fall from the horse could have led Anne to do some fancy dancing to ensure her supremacy in the kingdom, and that could have been shown to Henry as sufficient cause for her to be indicted and executed, sexual adultery aside. But, if that’s true, how was it that Henry later was sufficiently self-possessed to eliminate Cromwell? It’s the mind of Henry and his intentions that would give the best clue. A letter from Henry to Francis I or a secret diary of Henry (or of Norris) at that time would be so terrific to unearth. I hope archeologists are digging away.